We all live a hectic lifestyle where we do not have enough time to shop for products of daily needs. 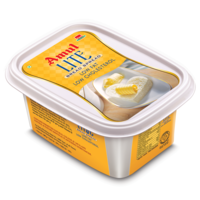 Taking this crucial factor into consideration, Amul provides fresh amul bread and amul butter online without you having to drag yourself at your nearest Amul parlours. So you do not miss that needed bread and butter breakfast with your brewing cup of tea, to give a refreshing start to your morning! As we are living in ultra fast moving life, you would attempt to abstain from staying longer time in kitchen. So bread is something you like to eat which devours less time to cook or heat. 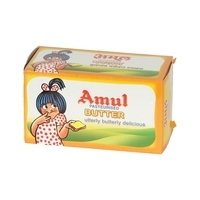 Amul butter has made it's presence in almost every Indian house. 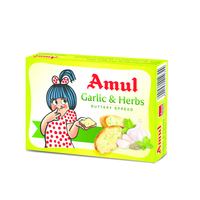 It is available in many flavours like unsalted butter, garlic and herbs butter. It is available in the pack of blister, tub and block. 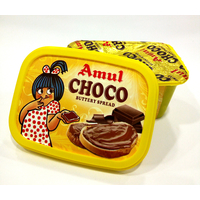 And what’s even better is - Amul online store has something for everyone. Even for the ones who are health conscious. 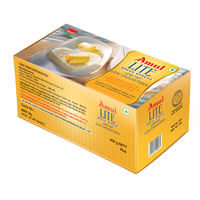 For those, the store provides Amul Lite butter in all different packs. So you wouldn’t have to worry for your extra calories when you eat that yummy butter on your bread. At the point when our breakfast and nibble part is possessed by bread and pastry shop things, its all that much vital to pick best quality nutritious heated items. 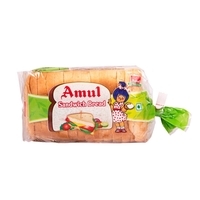 Amul Online store offers newly prepared sustenance items at sensible rates. 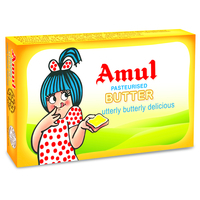 Whenever butter is mentioned, Amul simultaneously pops up as a synonymous name with it. 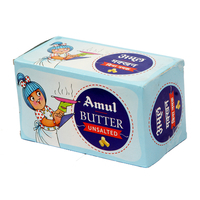 Amul Butter is made of pure milk FAT with Packs 100g, 500g, 50g, 20g, 10g Blister - all available for you on Amul Online store. 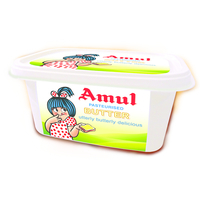 Amul butter can be used on bread, parantha, roti or sandwich to make it extra soft and tasty. 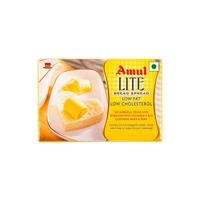 It is also used in the preparation of most Indian dishes such as Paneer Butter Masala or Chicken Butter Masala. It can also be topped on Pav Bhaji, Dals, Soups, Salads, Dal, Rice for that extra salty taste and many other thousands of delightful recipes. 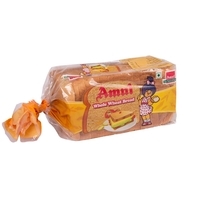 We offer entire wheat bread things as chestnut bread, milk bread, sandwich bread, pav bread and numerous different mixtures. And so forth which your children cant live without. The entire wheat breads can be an extraordinary piece of your eating routine since they taste yummy and serve the majority of your nourishment needs. Indulge In A Tasty World! While keeping this heaven of a multitasking spread in stock is going to save you a truck load of time and energy, you can also have made a basket full of luscious desserts and snacks, anytime. 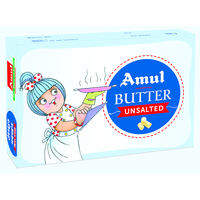 Amul Online gives you the delightful taste of salted Amul Butter and has curated a variety of butter, which is as fresh and good as home-made. Wait no more to get yourself indulged in this buttery fantasy. We offer prepared things which are arranged utilizing every single characteristic fixing delivered without the utilization of manufactured chemicals and manures. Free of added substances and additives, our bread and it’s things are as delectable as they are solid! So attempt them and appreciate sound living.